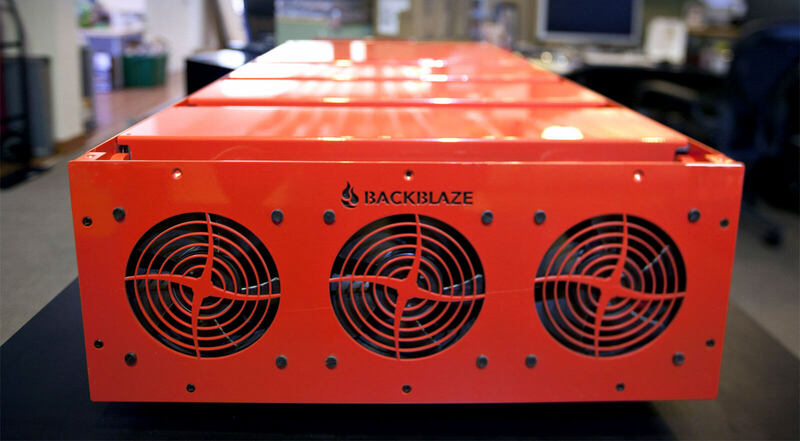 Today Backblaze announced the release of version 5.0 of its client app. It comes with several improvements but the primary focus for this update was on speed. "Rapid Access Release," as it has been dubbed, brings users faster backups and quicker file browsing. Other improvements include an image preview feature, the ability to download individual files from a backup, file sharing and a fresh new UI. The number of threads available for backing up data has also doubled. Speed can be manually throttled up to 20 backup threads but Backblaze suggests users let the client throttle speeds. The app by default analyzes users’ network environments to determine the proper number of threads to ensure connections do not get choked. During internal testing, it has completed 50 GB backups in one hour. File browsing has also been optimized and is now three times faster. The developers have additionally cleaned up the browsing and restore interfaces. Finishing off the speed enhancements is the restore process which is now up to 10 times faster. If a full restore is necessary, it can be performed fast and free through the client app. However, if a restore cannot be performed over the web, Backblaze will ship a USB flash drive from 128 GB up to 4 TB via FedEx to recover files. This service costs between $99 and $189, but if the USB is returned to Backblaze within 30 days, the fee will be refunded. The rest of 5.0’s enhancements improve the user experience when using the client app. An image preview has been added so users can see if the image file they backed up is the one they want to retrieve or share. No more wondering if “2015-11-19 11.04.24.jpg” is the right picture. Single files that are under 30 MB no longer have to be zipped up in a single file restore package. They can now be recovered quickly and easily. “This was a highly requested feature and we’re stoked to get it implemented,” said Pusin. He also notes that larger file sizes will be supported in the coming weeks. With a Backblaze B2 account, users can share files via URL. However, B2 accounts do come with some limitations, mainly 10 GB/month of storage and 1 GB/day of downloads for free. Users who need more will pay about $0.005/GB upload and $0.02/GB download. Speaking of cost, standard personal accounts are $5/month or $50/year for unlimited storage, bandwidth and file size. Enterprise accounts run $50/year/computer, also with unlimited data and no throttling. Lastly, the UI has seen some graphical improvements. “We’ve touched up the user interface to make it a bit more lively,” as Pusin puts it. The client is also more compliant with IPv6. The current version of the app is now up on Backblaze’s download page. The company will be slowly auto-updating current customers over the next few weeks. However, those that do not wish to wait for the auto-update can manually check for updates using the app settings or download directly from the website.